Sky Sports football pundit Paul Merson doesn't think Sunderland will be in a relegation fight this season. Sky Sports football pundit Paul Merson has made his predictions for the 2016-17 season - and North East fans will find them to their liking. Despite losing manager Sam Allardyce to the national job, the former Arsenal and England winger thinks Sunderland WON'T face another relegation fight. He tips them to finish 14th, above Swansea, Watford and West Brom and the trio he tips for relegation, Bournemouth, Hull City and Burnley. He writes on Sky Sports' website www.skysports.com: "David Moyes is a good manager and this is a perfect job for him without the pressure of a club like Manchester United. "He will make Sunderland hard to beat and they will collect good results along the way." 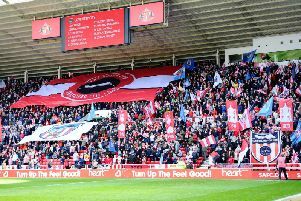 Merson reckons North-East rivals Middlesbrough will finish a place above Sunderland, saying: "I like the look of Middlesbrough and I think the Riverside Stadium will be rocking in the Premier League this season. "I think they could have a similar season to what Bournemouth had after being promoted last year." He tips Chelsea to be champions, Manchester City runners-up ahead of United, and Arsenal, Liverpool and Tottenham making up the rest of the top six. Last season's champions Leicester are tipped to finish 11th, with Merson writing: "I certainly wouldn't expect a relegation battle at all, but with Champions League football each week it will be hard for them to finish high up." * Would you be happy with a 14th place finish for David Moyes' Sunderland side?